One of the biggest challenges that I face on a daily basis is keeping up with my water intake. Before I had children I pretty much lived off of soda and coffee. Once our children were old enough to make choices for themselves, my husband and I knew that we needed to help our girls make healthier choices by providing a better example. About 3 years ago we stopped keeping soda in the house. Sure, we may splurge a little at a family barbeque, or when we go out to a restaurant. At home, however, those high sugar, caffeine induced drinks have been replaced with refreshing bottled water. Even with the changes we have made in our healthy drinking habits over the past couple years, I still have trouble getting my recommended amount of daily water. 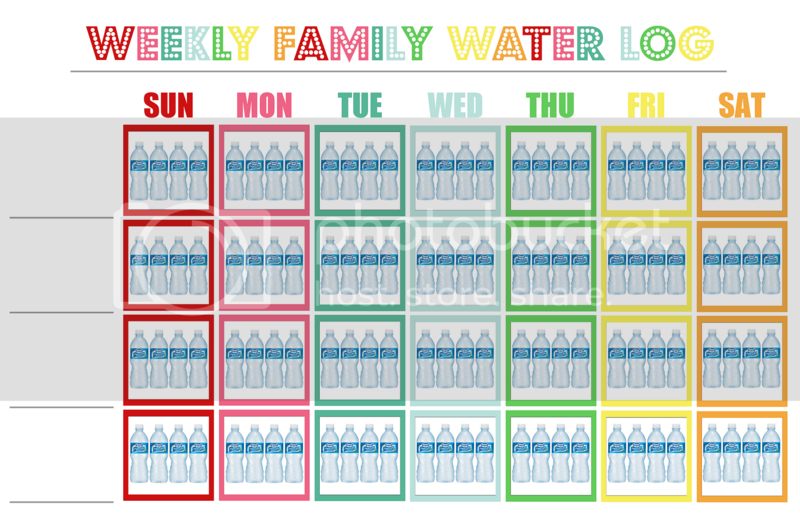 I came up with this fun printable to hang on our fridge to get the entire family on board with drinking water. After finishing a bottle of water, it gets crossed off. The girls love it and it's such a great way to make sure they are getting enough water. Need more inspiration to help you and your family drink more water? Nestlé® Pure Life® has created the Drink Better. 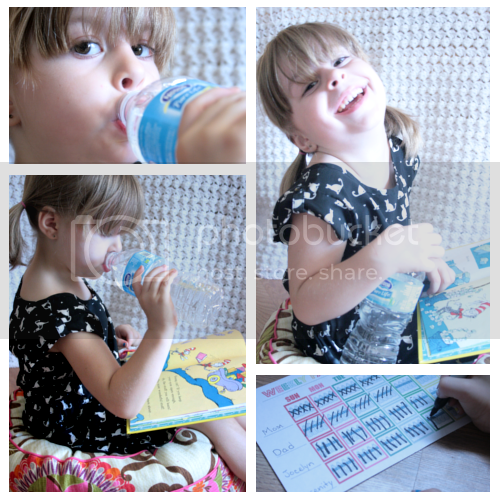 Live Better.™ Rewards program to help moms make drinking water more fun for the entire family. By purchasing specially-marked packages of Nestlé® Pure Life® water at Walmart, you can participate in The Nestlé® Pure Life® Drink Better. Live Better.™ Rewards Program by signing up at NestlePureLifeRewards.com. Begin collecting points by entering the unique code (found on the bottom of the Nestlé® Pure Life® packages) online, then redeem your points for a variety of fun rewards such as coupons, gift cards, Universal theme park tickets and more! Promotion ends 9/30/14. There are also more ways to collect points besides purchasing Nestlé® Pure Life® Water. 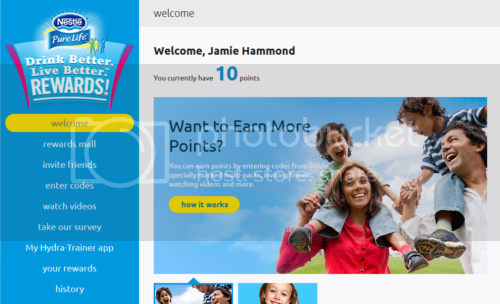 To earn more points on NestlePureLifeRewards.com, you can sign up via Facebook for an instant 10 points. Invite friends to sign up for the program, download the Nestlé® Pure Life® Hydra-Trainer app or watch the Nestlé® Pure Life® Water Wizard videos! Nestlé Pure Life is also offering DOUBLE POINTS for Back-to-School when you enter the codes between 7/21/14 and 8/15/14!